In 'All Walls Must Fall,' spies travel through time while Obama and Putin share a fraternal kiss. 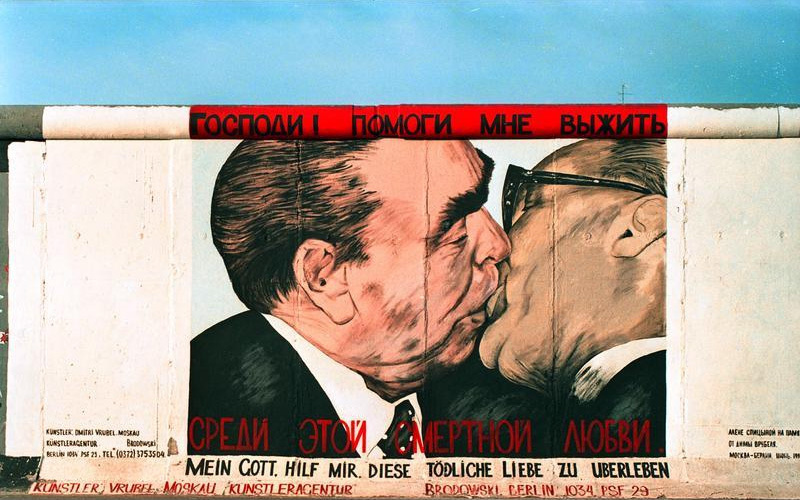 One of the most famous works of graffiti on the Berlin Wall is a depiction of former Soviet general secretary Leonid Brezhnev kissing the ex-leader of East Germany, Erich Honecker, full on the mouth. In the painting, called "My God, Help Me to Survive This Deadly Love," Brezhnev's profile commands a majority of the frame, as if he's sucking the life out of Honecker. It's based on a 1979 photo of the two statesmen locked in a fraternal kiss, a common form of greeting among socialist leaders at the time. Fast-forward to 2016, and artist Rafal Fedro of inbetweengames has updated this iconic painting to feature US president Barack Obama and Russian president Vladimir Putin sharing their own fraternal kiss. In the studio's latest project, a spy tactics game called All Walls Must Fall, the new painting represents a wide range of scenarios: heightened tensions between the two countries that were at the heart of the Cold War, fraying international relationships, or the subconscious desire to love our enemies, to name a few interpretations. "We didn't want to declare who is a bad guy and who is the good one, who is stronger and who is weaker," Fedro says. "We want you to make your own opinion. And here we are with Obama and Putin embracing and kissing, each taking roughly half of our graffiti painting. At the same time we wanted to make them both look calmer, at ease." All Walls Must Fall takes place in Berlin in 2089, in an alternate reality where the Cold War never ended. It's a "techno-noir" game where players control secret agents as they fight to prevent an imminent nuclear attack that will turn the world to ash. Both sides use time travel to predict and thwart their enemy's' every move, but this rogue nuclear strike sends both East and West into a tailspin. The entire game plays out over the course of one night -- just before the bomb is deployed -- though players travel back and forth through timelines in an attempt to stop nuclear annihilation. For example, an "undo" function allows players to reverse actions like entering a room, getting shot or starting a fight with an overwhelming number of foes. Or they can jump back in time to give their past selves information that they actually learned hours later. 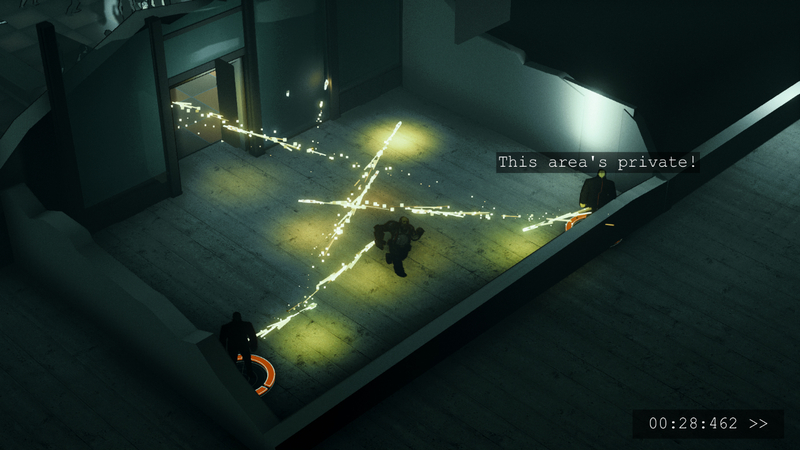 All Walls Must Fall plays with the idea of a paradox as a game mechanic. "The undo ability is just one," programmer Isaac Ashdown says. "We aim to start simply but add more mindfuck as you progress." Considering how much thought inbetweengames put into a single image of Obama and Putin kissing, it's no surprise the developers have a broader story to tell with All Walls Must Fall. When it hits Steam Early Access for PC and Mac in the fall, players will choose between warring factions and ultimately decide whether the cycle of war continues or the Wall finally falls. 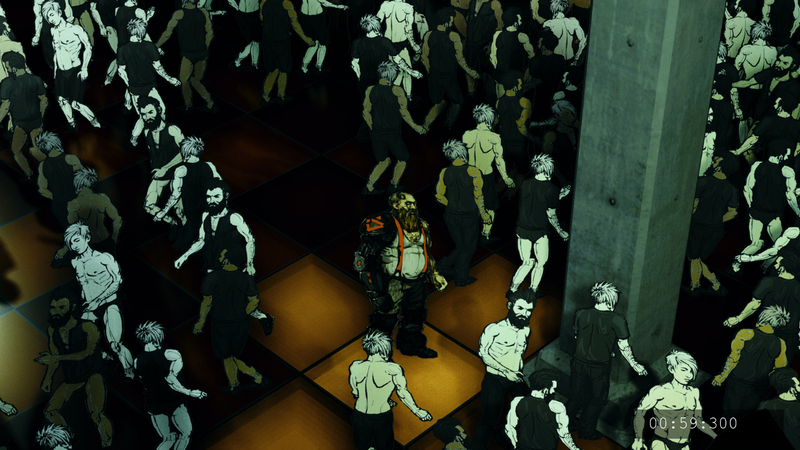 The developers present the game as a parable on the nature of free will, morality and freedom itself, though they're careful not to be too heavy-handed. "I wouldn't say that there's any specific message that we're looking to be the takeaway," Ashdown says. "I think any discussion of these concepts can only ever serve to widen our understanding of them, but trying to push one viewport too hard can backfire." The creators -- Ashdown, Fedro and designer Jan David Hassel -- had rich personal histories to pull from when creating this new old world and all of its moral ambiguities. Ashdown was born in the UK but lived in the US, Hassel hails from the former Federal Republic of Germany (West Germany), and Fedro grew up in what was then known as the Polish People's Republic. These final two locations are relics of the Cold War era and were major players in the international struggle for peace. "We all gathered different experiences which shaped our various views, which we want to put to use, share them with you and hopefully create an interesting narrative," Fedro says. That narrative is rooted in a retro-futuristic version of Berlin, the same city that inbetweengames calls home. "We have a really great resource here in that there's a unique, fascinating and under-used city right outside the window, so it would be crazy not to use that," Ashdown says. Using the city means soaking up everything about its people, architecture and history and translating that into the game. The developers focused on filling their version of Berlin with people from diverse cultural, sexual and gender-identity backgrounds, just like their city is today. "We want to embrace Berlin with its all diversity, roughness, beauty, ugliness -- a unique and amazing setting," he says. "I am quite tired of stereotypical video game protagonists. Like any other bigger city, Berlin is multicultural and multinational, after all." Fedro, Ashdown and Hassel previously worked at a large studio, Yager, where they built Dead Island 2 before it was handed over to another developer and Yager was shuttered. Fedro and Hassel also made Spec Ops: The Line, a AAA shooter with a serious message about the horrors of war, and these experiences helped the team get organized when they went independent in 2015. Fedro says he learned how games get made, from pre-production to shipping, and he picked up a variety of tools in an environment with more than 100 co-workers. However, big-budget development is often slow and inflexible, and can force people to focus on a narrow aspect of game creation, such as "foliage artist," "glass destruction guy" or "superhero cape animator," Fedro says. "It is like a vicious circle -- the more time you invest into something, the better and more specialized you become and more unlikely you will be able to work on things out of your speciality," he says. "I personally love to take care of different types of challenges ... Co-founding an indie development studio gives me creative freedom I crave and cross-disciplinary professional development." Going indie lets the developers at inbetweengames make something like All Walls Must Fall, a project that resonates with them emotionally and as players. Sure, it's an isometric action tactics game, but it's also a work of art. "Most games are also works of art," Ashdown says. "It would be pretty disappointing if we made one that wasn't."